What a pretty case. I like the big bow. Hello! Glad all ok if busy. Know the feeling. That’s a wonderful accessory case, quality ingredients and styling! Yay, you’re back! 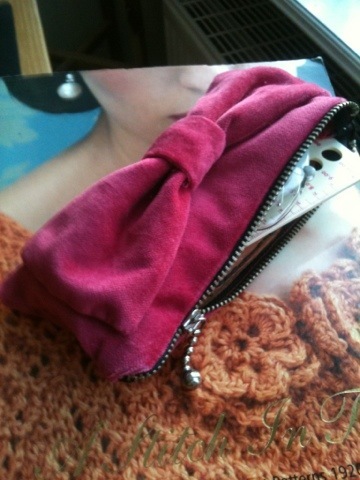 hopefully this pencil case is the slippery slope into more dresses and skirts and FUN! Really cute! It looks so soft! Such a cute case! I Love the bow!